India 4-87 (Gautam Gambhir 37, Cheteshwar Pujara 26, James Anderson 3-24) trail England 330 (Kevin Pietersen 73, Joe Root 73, Matt Prior 57, Graeme Swann 56, Piyush Chawla 4-69) by 243 runs. England scored 330 runs before they were bowled out in 145.5 overs and India managed 87 after playing 41 overs for the loss of four top order batsmen. 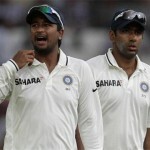 The second day’s play came to an end on Friday, 14, 2012, at Vidarbha Cricket Association Stadium, Jamtha, Nagpur. Earlier, the visitors started the second day at 5-199 in 97 overs, the young debutant, Joe Root was unbeaten for 31 and Matt Prior was holding his end for 34. England reached 204 at the end of the 100th over as Prior hit the first four of the day three overs later. 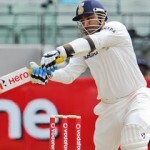 The pair continued with the policy of sticking to the wicket as the runs kept on creeping with occasional boundaries. Matt Prior hit the 24th fifty of his career in the 110th over and crossed the hundred runs partnership three overs later as the score went past the 239 runs mark. Joe Root achieved his maiden Test fifty on the second ball of the 113rd over by stealing three runs. India got the first breakthrough when Matt Prior was clean bowled by Ravichandran Ashwin for 57 off 142 deliveries with 6 fours. The sixth wicket fell at 242 and Tim Bresnan was declared leg before wicket off Ishant Sharma for a duck as Graeme Swann joined in with Joe Root. The run rate was picked up by the two batsmen with regular boundaries as Swann hit the first six of the day in the 136th over. The third hundred of the innings was displayed on board in the 139th over as Joe Root was caught and bowled by Piyush Chawla for 73 off 229 balls with just 4 fours. Graeme Swann took over from there with a minimum contribution from the tail enders and completed his fifth Test half century in the 143rd over. He was finally gone for 56 off 91 with 2 grand sixes and 6 fours as the first innings of England was folded back for 330 in 145.5 overs. Piyush Chawla was the most impressive bowler with four wickets, Ishant Sharma held three, Ravindra Jadeja got two whereas Ravichandran Ashwin claimed one wicket. India had a dreadful start of their innings when James Anderson uprooted the stumps of Virender Sehwag on the third ball of the first over. Cheteshwar Pujara joined in with Gautam Gambhir and they tried to steady the things for the hosts while sending the ball regularly out of the rope. The first fifty of the innings was attained in the 19th over and nine runs later, Swann got rid of Pujara when he had scored 26 from 72 deliveries with 3 fours. India came across the biggest shock of the day when James Anderson destroyed the stumps of the little master, Sachin Tendulkar, for just two runs. 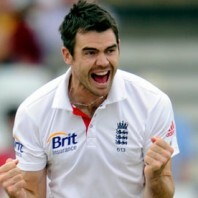 It was the ninth occasion that James Anderson dismissed Sachin Tendulkar in the longer version of the game. The third wicket was lost at 64 and seven runs later, Gautam Gambhir was smartly caught behind by the wicketkeeper Matt Prior off Anderson for 37 off 93 comprising 4 fours. Virat Kohli and the Indian skipper, MS Dhoni, survived in the later part of the day as India managed 87 runs with six wickets remaining in 41 overs. 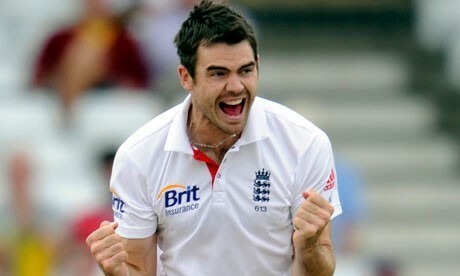 James Anderson was the most furious bowler to wipe off the top brass of the rival batting by grabbing three wickets as Graeme Swann registered one wicket. 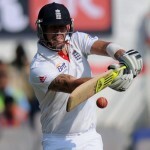 England is on the driving seat as India still trail by 243 runs and the last recognised batting pair holds the crease. The deadly bowling attack of England is in a dangerous mood and the Indian batsmen have to fight hard to save the fourth Test and series.